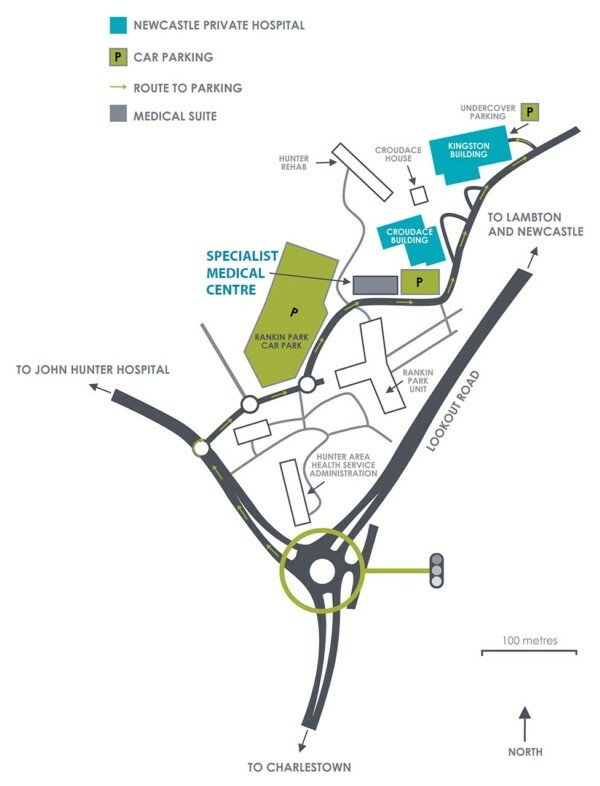 Our consulting suite is located at Medical Suite 2.2, Specialist Medical Centre on the John Hunter Hospital site. After entering John Hunter Hospital site, follow the signs towards Medical Suites and Newcastle Private Hospital. As a patient you can contact the consulting rooms during office hours if you have any questions. If you need to be seen by Dr Harborne urgently, we will request you come into the rooms. If you think you are in labour, please contact the Delivery Suite at Newcastle Private Hospital on 49419267/8 or John Hunter Hospital on 49214353/50. They will provide advice and also contact Dr Harborne. In case of an emergency, always dial 000 for immediate assistance. There is secure parking available for patients and visitors accessed through the Lodge Drive entrance.